Oops I forgot the pictures! 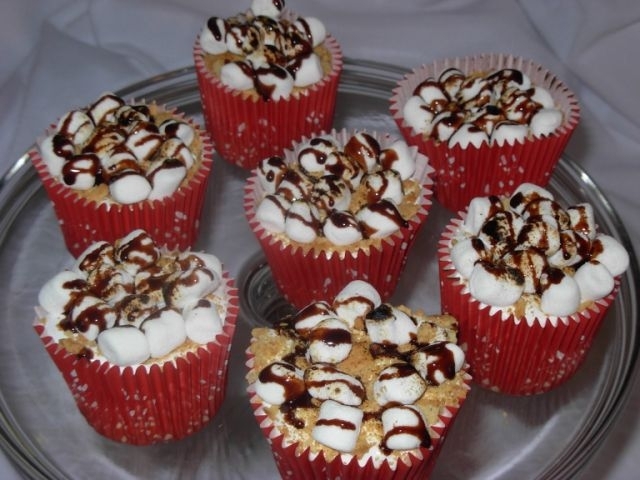 I have been very very busy making cakes and have not had a lot of time to write, so I will fill you in now. First, let me tell you about the private classes I gave to a great student, Ashley. 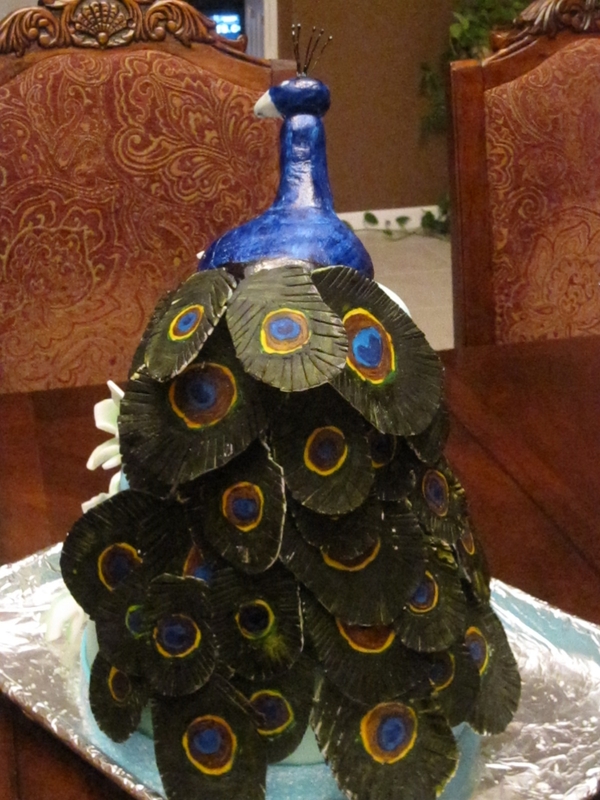 We took 6 weeks and planned and executed a huge peacock themed cake! It was three tiers covered in green and blue fondant with shimmery borders and plumeria flowers on each tier. To top it off there was an amazing peacock on top with it’s fan of tail feathers flowing down to the bottom. It was a really fun class and Ashley was an awesome student! I also have taught some other classes since my last post. 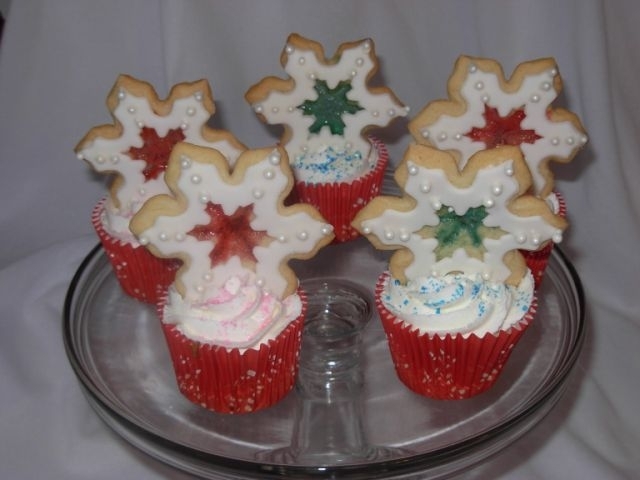 I taught a Homeschool Holiday Cupcake Class and another holiday cupcake demo. The class was a great success! 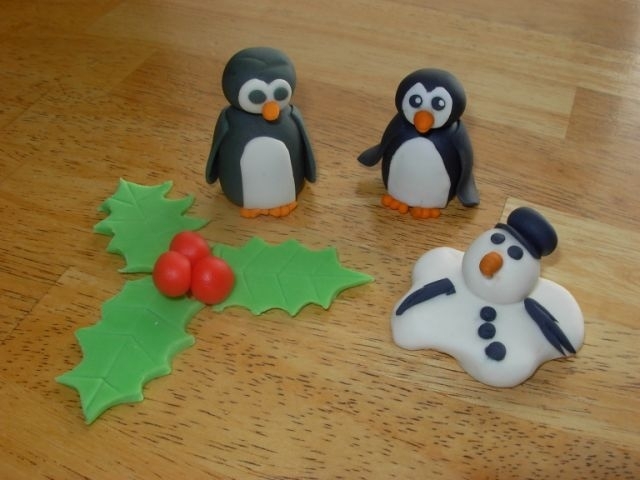 We made cute little penguins, holly leaves, and melted snowman toppers. They were adorable. We had 16 people in attendance. 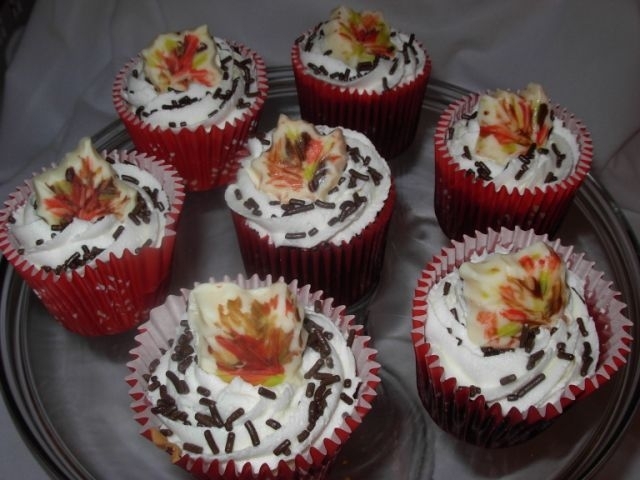 The other cupcake demo I did was for Mercedes Homes. 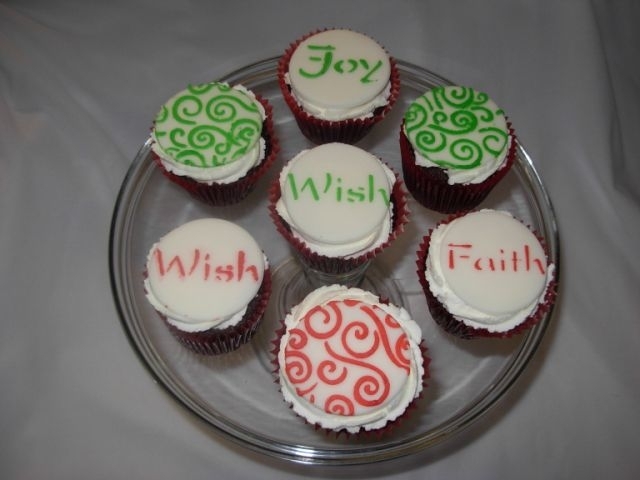 I showcased 5 different cupcakes and I also did a blown and pulled sugar demo. It was held in their model home for sale and there was a huge turn out, probably 30+ people! 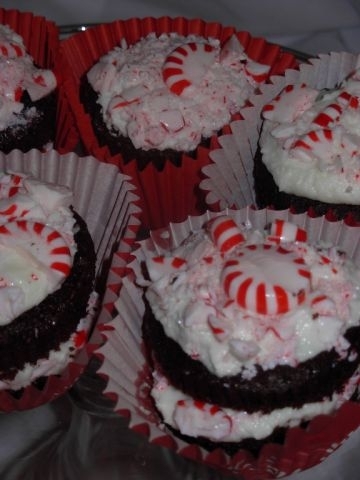 The cupcakes were stenciled fondant topped, ‘stained glass’ cookies on cupcakes, stuffed peppermint patties, s’more decorated, and hand painted chocolate toppers. I illustrated how to make sugar curlyquies and a blown sugar ornament. There is still a lot more to write about, but I will split it up into a few posts so it is eaiser to read. Thanks for reading!